Not too long ago, running a Photobooth business meant investing in a stationary kiosk and finding a business or shopping mall willing to rent you some space. 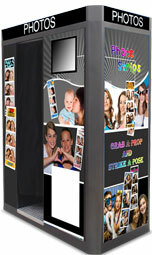 Today, thanks to improvements in digital cameras, user-friendly photo software, and upgrades in printing technology, the photobooth business has gone mobile, with modular or “open air set up” photobooths now showing up at weddings, corporate parties, birthday celebrations, proms, class or family reunions as both a form of an entertainment and a way to provide guests with a fun keepsake memento. - Enclosed Photobooths: In this set up, modular tubing or framing supports curtains separating the photobooth from the main function area. The booth’s camera, lighting, printer, backdrops are all contained in the booth, giving it a more private atmosphere. - Open Air Set Up: As the name implies, in this set up, the photobooth is completely open, with no surrounding curtains. An open air photobooth often becomes a center of event activity as guests gather to watch the fun and take part themselves. Stationary photo kiosks are an option for the small business owner, but this type of photobooth business model is slightly different. Rather than marketing your booth and photo printing as a form of party entertainment, it may be more practical to investigate where you can install your photobooth long-term. If this model appeals to you, try local shopping malls, movie theaters, amusement parks, and large restaurants. 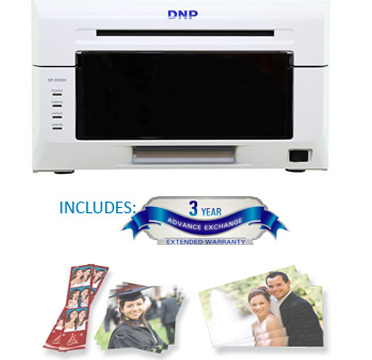 To make it easier, we actually sell “photobooth bundles” which typically include photobooth template software and photo-quality printer. Using this shortcut, getting up and running simply entails connecting your camera to your pc, running the software, and connecting your printer to your pc. 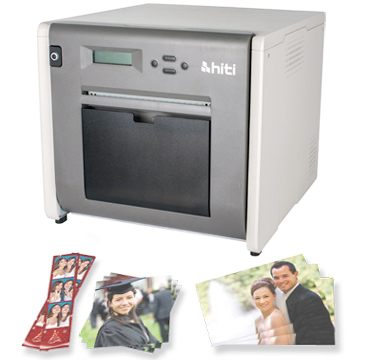 The software downloads pictures directly from the camera and automatically prints. To give photos a more personalized, professional look, add a screen backdrop to your photobooth. If the photobooth is being rented for use at a wedding, choose a backdrop with a romantic motif or pick a color that matches with the wedding’s overall color scheme. Backdrops are a minimal investment, which makes it easy to stock up on a few choices. Likewise, collecting a basket of photo props -- ranging from masks and hats to signs and feather boas -- gives guests the chance to truly express themselves, something sure to make your photobooth a hit. To get the feel of how your photobooth will work and to troubleshoot any problems, take it for a test run at your next holiday dinner or family birthday party. Get feedback from guests on how easy it was to use. You also will want their take on the quality of photos produced. Before you spend money on advertising, print up some fliers or brochures and visit local bridal shops, party stores, and local party planners to let them know about your services. Because photobooths are such a growing trend, they might already be fielding inquiries for this service. You can also volunteer to bring your photobooth to a local charity fundraiser to provide photos free of charge. This is a great way to help out with a cause you can about and in the photobooth business, just like any other business, positive word of mouth is the best way to get a new business off and running.